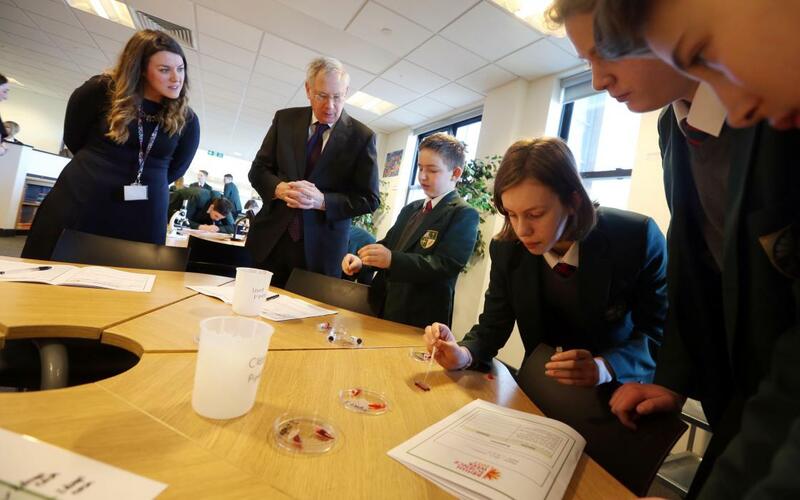 The Duke of Gloucester has spent a day speaking to school students in Durham about their exciting learning projects, from robotics and technology to creative performance. 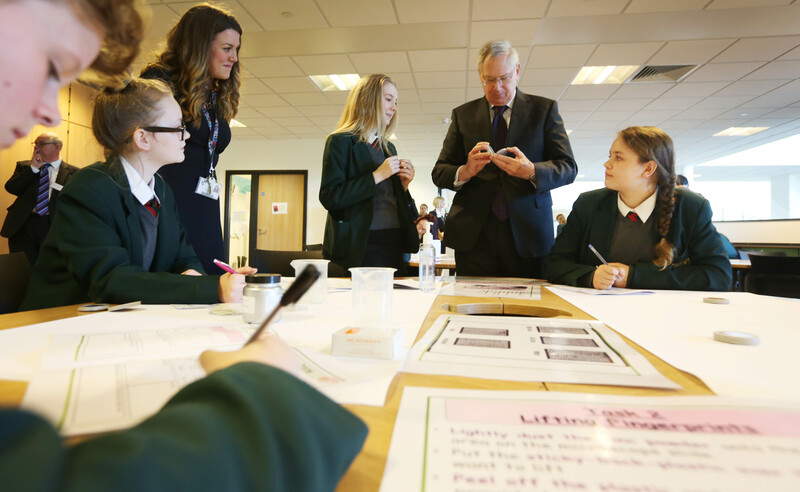 The Duke visited Sedgefield Community College, where he was taken on a tour of the brand new school buildings. He met students taking part in a computer science lesson, and others undertaking CSI forensic activities. These tasks were in aid of British Science Week, which aims to encourage students to think about pursuing science-based careers. 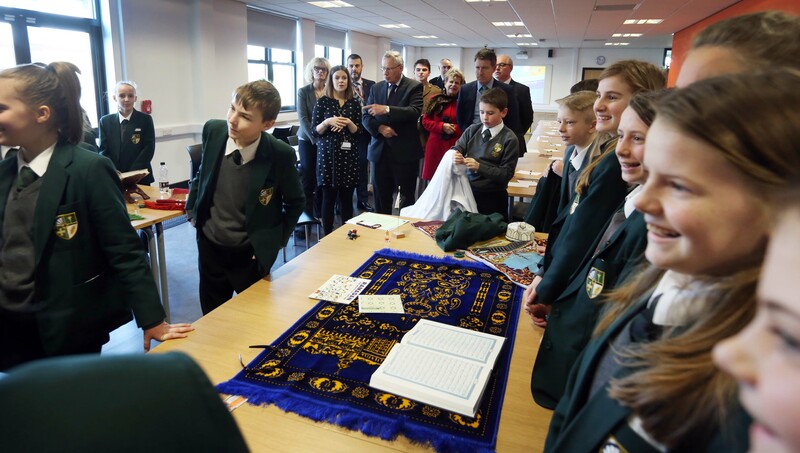 HRH also saw a religious education lesson, and watched some of the school's students rehearse their dance performance, in preparation for a show at the Gala Theatre later this month. 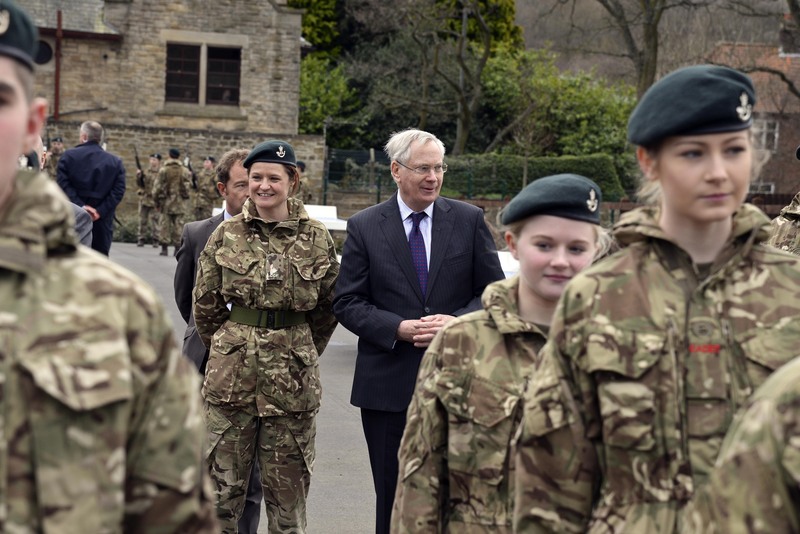 The Duke then visited Wolsingham School, where he was greeted by a parade of cadets. Wolsingham is one of only 100 schools nationally to have its own army cadet force. The Duke was then shown how the historic school buildings have been redeveloped, and the school has been expanded with a new annexe, before meeting students working on a Lego engineering project. Councillor Ossie Johnson, Durham County Council’s Cabinet member for Children and Young People’s Services, said: “It is a real honour to welcome His Royal Highness, the Duke of Gloucester to our county and I am delighted that he has chosen to visit two of our schools. Also during his trip to Durham, The Duke of Gloucester visited the village of Bishop Auckland, to see the ongoing regeneration of the market place and town centre. The Duke was taken on a tour of the 900 year-old Auckland Castle, which is undergoing significant restoration, and was able to meet apprentices and volunteers who are working on the project. Finally, The Duke visited the Eleven Arches performance site, home of the open air spectacular 'Kynrern- An Epic Tale of England', where he was given a taste of the action with some live theatrical jousting.